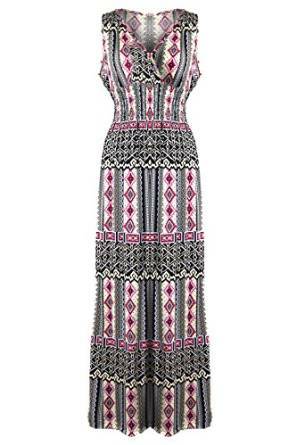 This dress fits to almost any type of woman. Yes this is true, I’m saying that because it depends on how you accessorize them, how you match them and also the style and personal attitude of each woman. Ohh yes, I said personal attitude, because this is important too. It is of course obvious that the romantic women would be probably the most delighted by this type of dress. For example, if we are talking about a sensible, delicate, with a lot of femininity kind of women then for sure this dress is more than perfect. 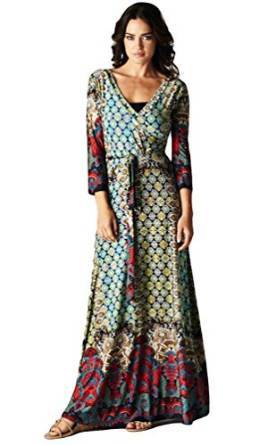 A Bohemian dress has airy vibes, lots of floral prints and usually is made of a quality fabric. Another very important feature is its versatility. So, yes you can easily match it with a lot of other pieces of outfit and also, you can wear it on many various occasions. 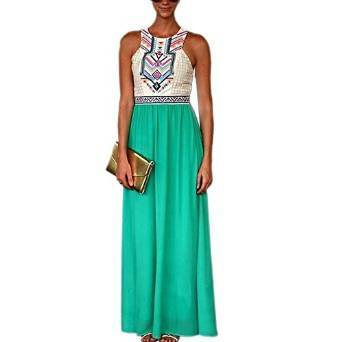 Indeed the ones who love vintage and boho-chic style will be happy to have in wardrobe this maxi dress. It can be matched very easy as I stated above. But you can wear it with successes no matter which is is your favorite style, that is for sure. It is important to be very creative and to love dressing comfortable. You can wear it when you go for a walk, to the movie, or to shopping sessions, when you go to have brunch with your friends, or even when going to the beach. When it comes to accessories, the most important is to keep I simple. Very simple is truly better. Most of the materials used by those kind of dresses are very light. This is amazing and will be very helpful making the dress more comfortable. Moreover in summer this kind of characteristic is more than desirable. 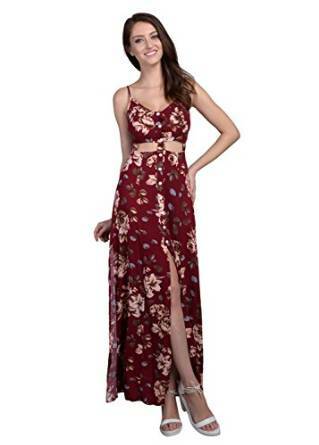 You, for sure can wear this kind of dress in many daily (and in the evening of course) situations, the important thing that you should comfortable and love wearing this piece.